Who Spends $100 Million on Research? Our government spends $100 million on research. Yep. Check out this Government Accountability Office document. It was done back in the mid 1970s at a cost of $100 million dollars in today’s money. 378 scientific studies. The results? Astounding! What did they study? Crime-prevention and how to lower burglary rates. What did the study say citizens should do? Mark property! Post warning signs! Record serial numbers! What is this extensively researched, yet virtually unknown, strategy called? 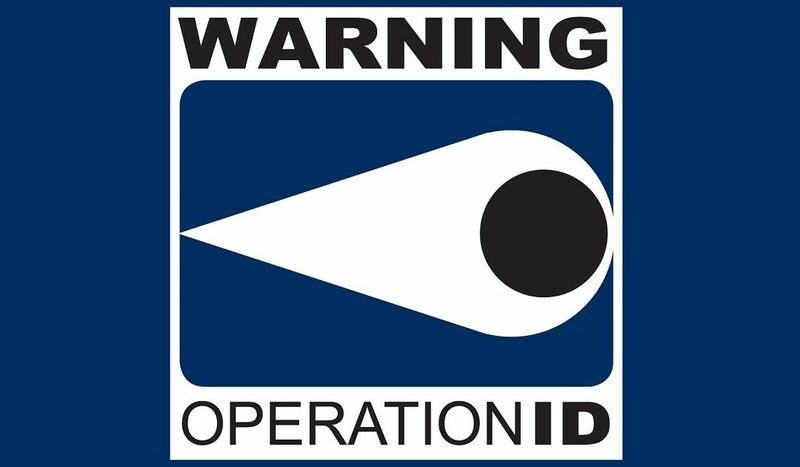 Operation Identification. They didn’t take it to market. I mean, sure they did a little bit, but marketing is all about having conversations…on a large scale. Major media outlets, buying time on the radio, in the papers, talking to groups or people. And in today’s world that now includes all things digital. So, let’s rewind that back. What did the study say? Answer: 90% of property crimes go unsolved. 50% of victims can’t even be bothered to file a report. Most burglaries are committed by teens and young adults who live in the neighborhood. Nothing has changed in all these years! The problem persists. Firstly, when I attended the Iowa Police Chiefs Association and the Iowa Narcotics Officers Association meetings in the spring of 2018, I heard from hundreds of law enforcement professionals that there is a crisis regarding unidentified stolen property. HUGE warehouses of unidentified stuff. You say, Who cares?…What’s the problem with that? Well, because it belongs to someone, it is stuck. They can’t give it away, sell it or do anything with it for a period of time. In most cases it gets destroyed. Secondly, the police caught the criminals, but the cops couldn’t track any of the property back to the rightful owners because none of it was registered. Nobody could prove the property was there’s, so no charges could be filed. So what happens? The criminals go free…and come for your neighbor’s house next! Why? Because they can! How dumb is this? So, what is the solution? So you say, You think a little sticker on my stuff and my door and a sign on my street will do anything?…That keeping a record of the serial numbers will do something? YES! The evidence is in. It’s been in for decades. We all complain about the revolving door of justice, but it’s partially our own fault for not installing some form of Operation Identification.